A neighbor we came to know recently has been having a series of freak accidents. Over a period of 20 months these episodes have left her completely immobile. All of them have systematically affected her lower limbs and have led to her being confined to her bed at home. She does try to keep her spirits up, egged on by her 20-year-old son, her caring husband and her compassionate mother-in-law, but the fact that she can’t be her “usual self” – enthusiastic and bubbly – does seem to be gnawing at her sometimes. It is but natural the way she may be feeling! Why does this often happen in Life? That the most irrational things happen to people? I wish anyone had an answer to these questions. Because, such is Life! The Buddha has talked about the “suchness” of Life. In Buddhism there’s this concept of ‘tathata’ – the suchness of Life. Or simply, like that famous section in Reader’s Digest, “Life’s Like That (Only)”! Almost everything that happens to us in Life is just an event. A situation. We analyze it. We interpret it. And we label it. But our labelling does not change anything. If at all it does cause anything – it only makes us miserable. Life has no agenda. There’s no conspiracy to fix you, just as there is no grand scheme of favoritism to reward you. Even so, whatever happens to you – or to me – happens with a reason, which at first is never apparent. But when you look back, as Steve Jobs famously said, you can only – and always – connect the dots backward! An beautiful Zen story is worth sharing here. There was once a famous Zen Master in Japan. Her name was Otagaki Rengetsu (1791~1875). She was on a pilgrimage, and she came to a village at sunset and begged for lodging for the night, but the villagers slammed their doors. They were against Zen. Those must have been traditional Buddhists and so they didn’t allow this woman to stay in the town; they threw her out. It was a cold night, and the old woman with no lodging… and hungry… had to make a cherry tree in the fields her shelter. It was really cold and she could not sleep well. And it was dangerous too — with wild animals roaming the fields. This is what celebrating the ‘suchness of Life’ means.Rengetsu teaches us how such a celebration is possible even in the most difficult times. She felt truly grateful. 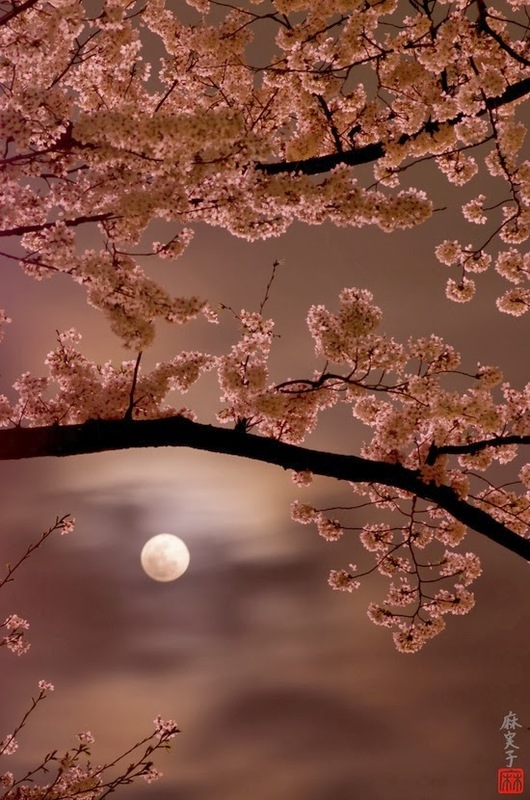 With great gratitude she thanked those people who refused her lodging, otherwise she would be sleeping under an ordinary roof, and she would have missed the blessing — those cherry blossoms, and their whispering to the misty moon, and the silence of the night, the unbelievable beauty of the silent night. She was not angry with the people. She accepted their decision with equanimity. Not only that she accepted it, she welcomed it, she embraced her situation — she felt grateful. So whether you are rendered immobile by Life or cashless or companionless or jobless – whatever it may be that Life has dealt you at this time, know that there’s a reason. You can and will discover that reason only over time. You can and will celebrate the “suchness” of your Life surely when you look back to reflect. But for now, accept the “suchness” unquestioningly, with gratitude. You will find yourself anchored and drenched in peace despite your circumstances.